Revive Adserver v4.1.4 is available now. This new version of the Revive Adserver software includes two new settings that can be enabled, one to prevent the creation of a unique but random ID value in the OAID cookie, and the other to anonymise IP addresses coming into Revive Adserver before they are processed. These new settings will help with GDPR compliance. Put a checkbox in the setting(s) you want to enable and don’t forget to click the “Save changes” button at the end of the page. If the “Disable unique Viewer id cookies” setting is On, any existing OAID cookies for visiting browsers will be replaced with the same value for every visitor: 01000111010001000101000001010010. This is the binary representation of the acronym GDPR. New visitors will also receive a new OAID cookie with value 01000111010001000101000001010010. If the “Anonymise viewer IP address” setting is On, then the Revive Adserver software will turn the 4th octet of any IP address it deals with into a zero, thus making it meaningless when it comes to identifying individual visitors. For example: 192.168.1.123 will become 192.168.1.0. The anonymized IP address will subsequently be used for geotargeting (if enabled) or for recording conversion statistics. In this release v4.1.4, these two settings will be Off by default in the interest of backward compatibility. In a future release, most likely v4.2.0, the defaults will become On. New feature: Added new privacy settings under ‘banner delivery settings’ to optionally stop tagging viewers via a cookie with a unique identifier (OAID) and to anonymise IP addresses, in order to better comply with GDPR regulations. Fixed an issue with evaluating very large delivery rules that caused an internal error with the PCRE library. Reverted a change introduced in v4.1.2 that was preventing preferences from being properly saved. Full release notes for v4.1.4 can be found on our Github page. 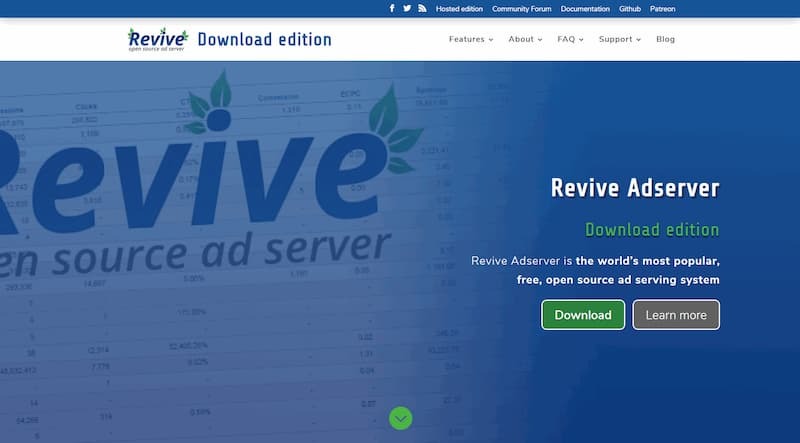 Revive Adserver v4.1.4 is available for download now.